(Courtesy of Perry Bergson, The Brandon Sun) — Troy Kennedy became pretty adept at changing addresses in his Western Hockey League career. 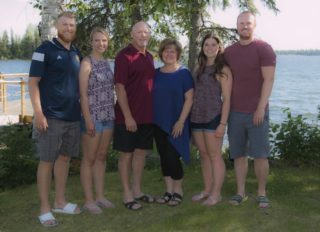 Now 51, the married father of three who lives in Beausejour played with the Brandon Wheat Kings and four other WHL teams, and one of those teams changed cities. Kennedy, who would play with nine more teams during his 11-year professional career, embraced the change. Kennedy was born in Brandon, lived a couple of years inThompson, moved to Winnipeg a couple of years later and then ended up on a dairy farm near Elkhorn when he was seven. Troy and his younger brother Sheldon, who would go on to play 334 National Hockey League games, were put in figure skating before they were allowed to start hockey in Winnipeg. He said his parents Mel and Shirley were key in his hockey journey. His father helped coach him until he was in bantam, but it went beyond that. Other than getting a start in Winnipeg, the two boys played their entire minor hockey careers in Elkhorn and were both listed by the Wheat Kings. When he was 15, Kennedy received a call from infamous hockey coach Graham James to tell him that the Winnipeg Warriors had acquired the brothers for defenceman Randy Cameron. Three weeks later, Troy Kennedy made his WHL debut in Brandon against the Wheat Kings. The league wasn’t a mystery to the Kennedy family, who would come in and watch games during Brandon’s glory years of the late 1970s. They were also close friends with Dean Evason, who enjoyed an outstanding WHL career with the Spokane Flyers and Kamloops Junior Oilers from 1980 and 1984. The Warriors moved to Moose Jaw for the 1984-85 season, and the Kennedy family also headed to Saskatchewan. 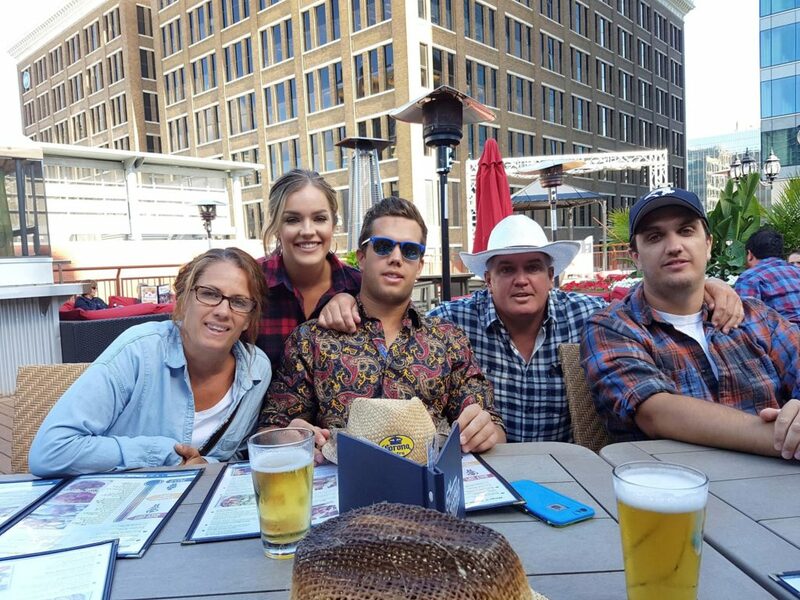 The farm was sold and they settled in Fleming, but since Saskatchewan midget is open territory —a player can go wherever he chooses — the Kennedy brothers went to Moose Jaw. 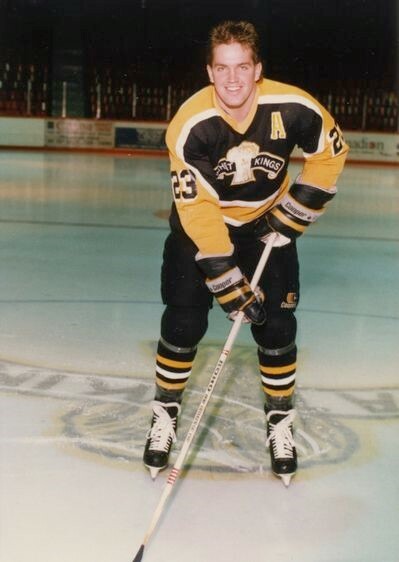 In an unusual arrangement for the 1983-84 season, the 16-year-old Troy played full-time with the midget AAA Warriors but also practised with the WHL Warriors, appearing in 23 games with the older team and earning 12 points. 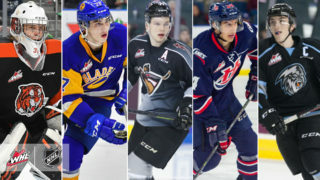 After 24 games in his 17-year-old season, Kennedy was dealt to a powerhouse Kamloops club that would go 49-19-4, win the league and appear in the Memorial Cup in Portland, Ore. Evason had graduated, but Kennedy held the organization in high esteem. Kennedy put up 23 points in 45 games with Kamloops, and added eight more points in 16 playoff games. He vividly recalls the Memorial Cup, which also included the eventual champion Guelph Platers, Hull Olympiques and host Winter Hawks. “It was pretty cool to be playing in that,” Kennedy said. His time in Kamloops wouldn’t last. Two days before the start of the next season, he was dealt to the New Westminster Bruins for Mark Recchi. It was the second incarnation of the big bad Bruins, who lasted for five seasons from 1983 to 1988 before becoming the Tri-City Americans. The legendary Ernie (Punch) McLean was coach, and he had a very different view of the game than Ken Hitchcock had in Kamloops. Despite piling up 30 points in 26 games, he was soon dealt to the Wheat Kings for Jayson More, another future NHLer. 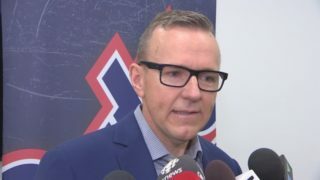 Kennedy said after the Memorial Cup, he had a feeling in the summer he would be traded, and hoped it would be anywhere but New Westminster or Brandon. He never had a good feeling about the Bruins, and was nervous about coming home. It turned out he didn’t need to be. In that 1986-87 season, he joined a Brandon team that included Terry Yake, Mike Morin, Dale Marquette, Kevin Cheveldayoff and Jeff Odgers. Offensively Kennedy came alive in Brandon during his 18-year-old season, earning 36 points in 41 games. He had been moved back to the blue-line after coming to Brandon, partnering with Cheveldayoff. In his 19-year-old season in 1987-88, he was moved back up to forward and exploded for 55 goals and 72 assists in 70 games. That 127-point output ties him for 21st for single-season output in franchise history with his linemate Terry Menard. All four hit the 50-goal plateau, which is unique in Wheat Kings franchise history. Kennedy’s best friend growing up in Elkhorn, Troy Frederick, skated on the wing on their line. Kennedy had mentioned to coach Mark Pezzin that the 18-year-old free agent might be a good fit, and Frederick ended up playing 205 games in Brandon. After that season, the National Hockey League’s Calgary Flames selected Kennedy in the eighth round with the 168th overall selection. Unfortunately for Kennedy, a change in coaches would signal the end of his time as a Wheat King in his overage season in 1988-89. Pezzin left and was replaced by Doug Sauter, who Kennedy said made it clear to him that he wasn’t his kind of player. Kennedy said that Sauter rode him hard, and his confidence waned as a result. He was mercifully sent to the Tri-City Americans in January 1989, and responded with 30 goals and 21 assists in 35 games to finish up his WHL career. Calgary didn’t offer him a contract — “I probably made a mistake by never getting an agent” — and he wasn’t interested in the second-year East Coast Hockey League, which established an early reputation as an extremely tough loop. Instead, he headed to the University of Manitoba and spent a season with the Bisons, putting up 26 points in 28 games. He decided school wasn’t for him, and was prepared to go to Germany to play pro when Bisons assistant coach Mike Sirant told him he was going to the United Kingdom. Kennedy joined him on the expansion Milton Keynes Kings. In a second division league, he had a season to remember. Kennedy was put back on the blue-line, and when games got out of reach, didn’t play in the third period. Still, he scored 73 goals and added 94 assists in 28 games for a remarkable 167 points, or 5.9 points per game. The team only practised two or three nights a week and played on the weekends. Since he and wife Jodi had oldest son Tyson there — son Kody and daughter Madysyn would come later — Kennedy kept himself busy to make some extra money. With a grandparents’ visa that allowed him to work, Kennedy made himself available to a local employment agency and spent time as a teacher’s assistant, in a brick company, as a bartender and in whatever other things came up. 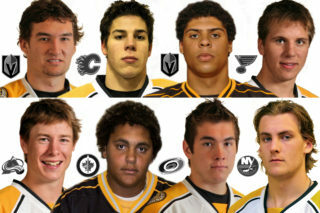 Kennedy spent six seasons in the UK, but with a family of five that made him expensive for European teams, he returned to North America to join former Wheat King Jason Taylor with the Western Professional Hockey League’s Central Texas Stampede. Kennedy played five seasons with the Stampede, Tacoma Sabrecats, Thunder Bay Thunder Cats in the United Hockey league and Lake Charles Ice Pirates before finally calling it quits after the 2000-01 season. “My kids were getting older and they had been with us the whole time and my wife had been following me around for 12 seasons and packing up every fall,” Kennedy said. “We owned the waterslide park in Brandon — her mom and dad owned it — so we would play hockey in the winter and come straight home and work the waterslide all summer and then go back and play hockey in the winter. Kennedy said other than breaking his jaw late in his career, he was remarkably healthy, estimating he missed fewer than 50 games total. He still plays occasionally, but is busy with coaching. This season he guided the under-17 prep Winnipeg Hawks in the Winnipeg City League. He also scouts for the Virden Oil Capitals. The family sold the waterslides a few years ago and Kennedy now works in Pinawa at the nuclear plant. His kids, who are now all in their 20s, went to school in Louisiana and his daughter goes down every year to visit friends. Kennedy is thankful for all the opportunities the game has given him so he could provide unusual but well-loved childhoods to his kids and the ability see some countries with his wife.